Last weekend, we officially launched the new Pittwater Friends of Soibada website and the “Buy a Brick Build my Future” fundraising campaign. A huge thank you goes to all those people who supported this event. The money from this program will finance the completion of the Soibada Training Centre and Guesthouse and the construction of the Senior High School. These projects have been identified by the community leaders of Soibada as a high priority. They have asked for our assistance raising the funds for construction. 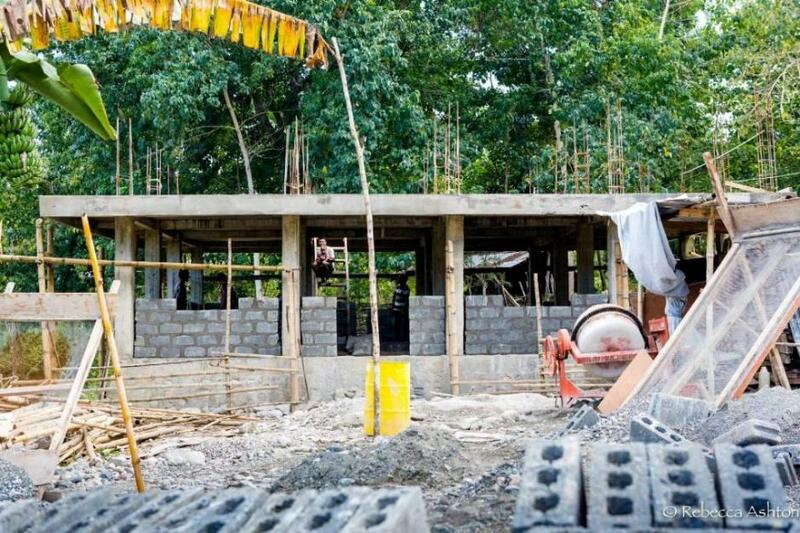 The establishment of the Training Centre and Guest House Accommodation in central Soibada aims to provide a training venue and facility to run educational programs for the community of Soibada. There will be accommodation for volunteer instructors from both Timor Leste and Australia and for Timor based NGOs running aid programs in the village. There is potential for eco-tourism in Soibada as an industry that could be beneficial to many families in the village. It would provide jobs and income – a way of keeping the youth in the village and employed on completion of their schooling. It could accommodate tourists, volunteers, high school students from Australia and NGOs. • ten bedrooms, each sleeping four people, with ensuite bathrooms. The benefits of the building would be far reaching and ongoing – so much more than mere bricks and mortar. Furthermore – it is what the people of the village requested to enable them to become self-sufficient. There are numerous attractions in Soibada and sites of historical and religious significance. The people of Soibada have access to resources and tradesmen. It is a much better to employ local tradesmen and use local products. This way we assist in stimulating the local economy by providing jobs and giving them the means to help themselves. Thus restoring their dignity and giving the people a sense of ownership of the facilities that we fund. • Health and Nutrition – staff from HIAM Health in Dili will travel to Soibada rather than PFOS funding 16 course members to travel and live in for the course in Dili as we have done in the past. • Craft and sewing– women’s workshops in various crafts that could be sold. • Plant propagation and home gardening. There is also great potential for tourism in Soibada. • World Expeditions will be bringing groups of students from Australian high schools to have immersion experiences in the village and do volunteer tasks. • Retreats – Australian Veterans Organisations will pay to use the venue for retreats. This will bring income to the village whilst the veterans also do volunteer tasks as requested by the community. • Trekking and walking tours. Local guides are being trained to conduct tours of different levels throughout Soibada and surrounds. A map of local attractions has been drawn. • Religious Pilgrimages every Oct for the Aitara celebrations. There are numerous benefits to both the community of Soibada and to our community here in Pittwater. • Provide an opportunity for Australians to understand and assist our nearest neighbours and learn about our shared history and the debt Australia owes Timor from WW2. • A venue for volunteer educators to work and stay. The training centre and guesthouse is being jointly funded by several organisations. Construction has continued through Timor Leste’s wet season which is very unusual. Progress is quite substantial. The only hurdle at present is funding. So far $22,500 has been transferred in small increments to the local project manager. . (AKA Father Tiago)Fortnightly reports and photographs of progress are submitted to Friends of Soibada. This project is progressing at a faster pace than any other project we have undertaken so far. Villagers are volunteering to work as labourers on site on completion of their regular work each day. These include teachers, priests under training, local women, high school students, farmers and other trades people. There is much riding on the completion of this facility. The high level of trust and the friendship agreement that has been established between Pittwater and Soibada (at both the community and government level) is intrinsic to the success of the centre. Both parties are aware of this. The results so far of this project are outstanding. Numerous jobs have been created by the construction project. The community has come together with a sense of purpose as volunteers work on site. The relationship between Pittwater and Soibada has been greatly enhanced. NGOs and training institutions are preparing future activities to be run in the Training Centre. This project is quite high profile due to the significance of Soibada in Timor Leste’s history and the fact that it could prove to be a significant tourist destination. Please spread the word about our fundraising efforts. A $10 donation will buy a brick! Please remember – volunteers are always welcome!